For Lleyn breeder David Knowles, the use of terminal sires on pure-bred and cross-bred ewes has paid dividends. 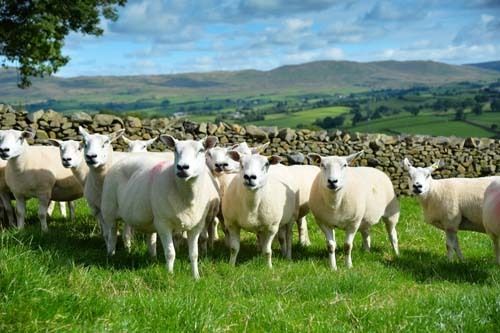 Using a Texel on about a third of the farm’s pedigree Lleyn flock provides cross-bred prime lambs, breeding ewes and has real benefits in added flexibility for pedigree breeding says Lake District farmer, David Knowles. Mr Knowles, who farms with his father Peter, at Cragg Farm, New Hutton, Kendal, says his family’s involvement with the Lleyn breed goes back to 1992. 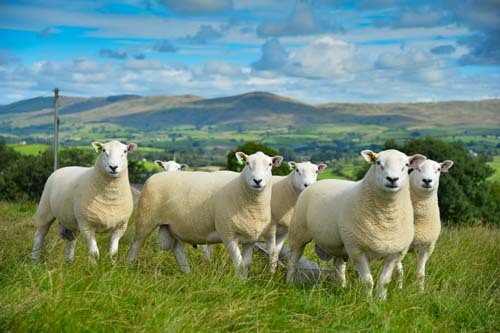 Falling demand for their Masham breeding ewes at the time, coupled with the introduction of the Lleyn breed to Cumbria, led to the foundation of their present Lleyn flock. The Lleyns settled in well on their 126-hectare (310-acre) upland farm, which rises from 213 metres to 305m (700-1,000ft) above sea level, dispelling any fears the Lleyn, originally from the mild climate of North West Wales, might struggle under the harder conditions of Cumbria. Up until 2010, Cragg Farm was run as a mixed dairy and sheep unit with 420 breeding ewes made up of pure Lleyns plus 50 Texel cross Lleyns and about 60 pedigree Holstein milking cows. Mr Knowles says: “We decided to drop milking for a number of reasons. It was a mix of the logistics of the farm. We would have had to upgrade our dairy facilities and Dad was at retirement age. “On top of this, our milk buyers imposed a 1p per litre transport charge even though they collect from a large dairy unit nearby. They said it was uneconomical for them to continue to collect a relatively small amount of milk from us without the additional charge. 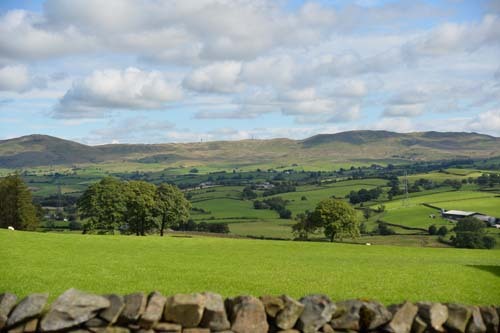 “However, the balance between cattle and sheep on the farm has remained about the same as we moved into rearing pedigree Holstein dairy heifers and selling them newly calved at Bentham Market, Lancaster and Junction 36. Before 1992 the Knowles family bought-in draft Rough Fell ewes and crossed them with a Teeswater to give Masham breeding ewes. The present system means they can run a closed flock, apart from having to buy in tups. “We decided against establishing a pedigree Texel flock to breed our own tups as buying in gives us a far greater choice of rams. “The key advantage of the Texel is it gives high quality, white-faced lambs which suit today’s markets. At the moment, about two-thirds of the Lleyn ewes are being bred pure, with the rest going to the Texel. 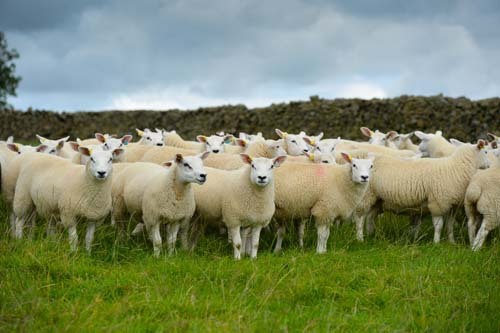 “Initially we were using the Texel just for prime lamb sales but more interest has been shown for the female lambs as flock replacements over the last five years. The Texel cross Lleyn lambs have the qualities of the Lleyn dam, being good mothers, milky and tight skinned, but they also have the attributes of the Texel sire adding more conformation. “There is definitely a market for the Texel cross-bred ewes. 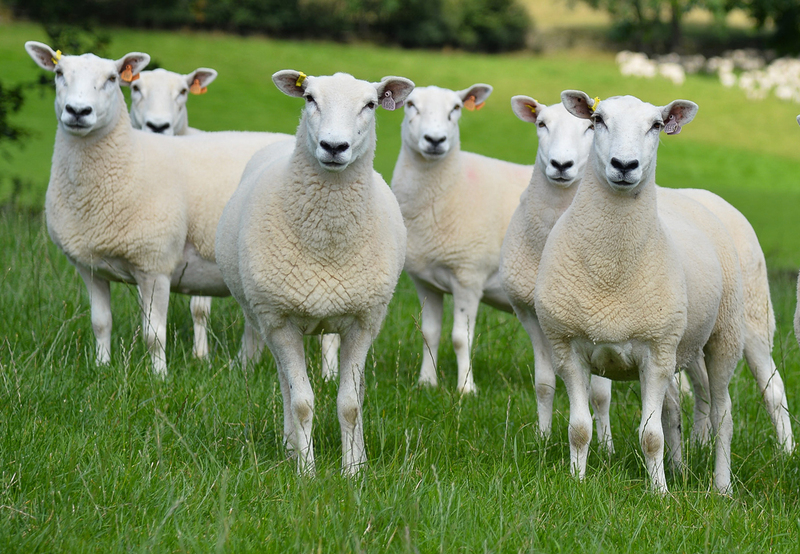 Farmers are looking for a white-faced sheep which is uniform in type, medium size, can rear two lambs off a predominantly grass-based diet and produce top quality, eye-catching prime lambs. 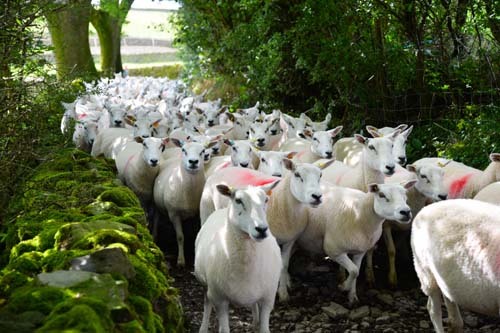 “We now retain a small number of ewe lambs each year and have built up a flock of 75 Lleyn cross Texel ewes, which are bred back to the Texel or Blue Texel. 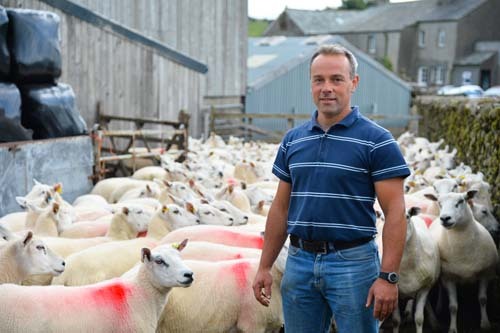 “The Lleyn ewe is still the heart of the flock, with the Texel-crossed ewes allowing us to breed our own replacements which is our paramount objective - not only from a disease point of view but financially as well. 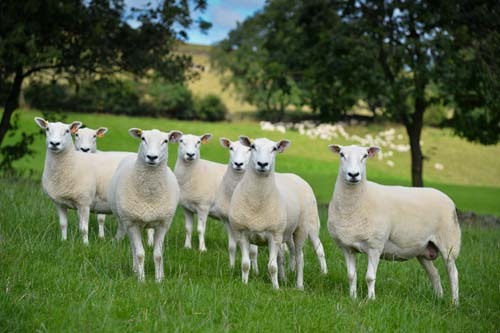 The Lleyn cross Texel ewe lambs are sold off the farm and have, over the last few years, been sold to the North of Scotland and down into the Midlands, with many customers returning says Mr Knowles. Ewes are brought inside in batches of about 100 from early January onwards, starting with those which are not at the optimum condition. Eventually all ewes, apart from a few singles, are brought inside. “Generally our Lleyns carrying pure Lleyn lambs scan at about 190 per cent and those carrying Texel cross lambs a little less, at about 180 per cent. Ewes are fed silage plus a 16 per cent ewe pellet, which changes to an 18 per cent pellet at the end of March and through April. As long as weather conditions allow, ewes and lambs go out about 24 to 48 hours after lambing. “We will get our first prime lambs away in early July and sell on a mix of live and deadweight systems, depending on the market,” explains Mr Knowles. “The first lambs we sold this year (2014) made more than £90 per head but prices have now dropped to more like £70. It seems the autumn glut has come earlier this year. With more lambs around, a good spring and summer, plus the strengthening pound, the export market is less attractive. 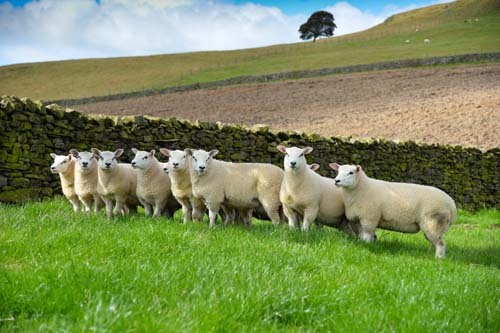 “The Texel cross lambs are usually away slightly sooner than pure-bred Lleyn prime lambs. Texel tups are all bought-in and Mr Knowles says he is looking for big, shapely animals, rather than the smaller Dutch type. Mr Knowles says: “We have now found our feet since selling the dairy cows and have developed a good market for selling our dairy heifers. The sheep flock now has some better grazing which has helped lamb growth. The Lleyn is still the main ewe on the farm and the introduction of the Texel has allowed us to produce some top quality prime lambs and further develop another maternal dam.